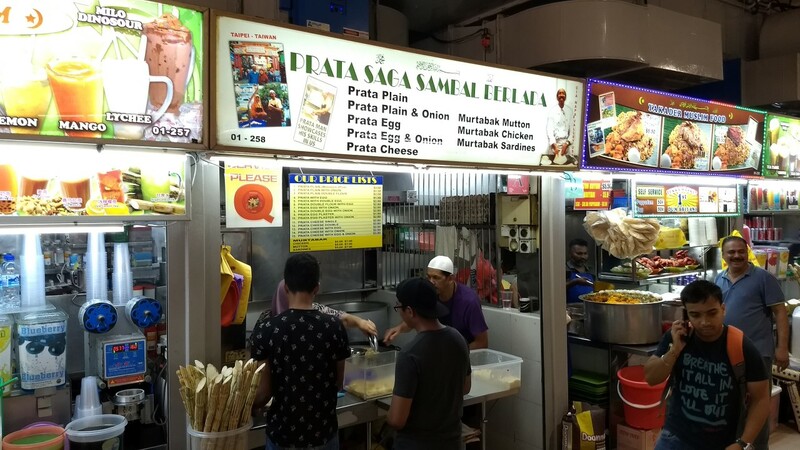 Having a bowl of laksa while we were in Singapore was a must for us. Sungei Road Laksa was one of the more well-regarded spots and was relatively near our hotel, so we set out for a late breakfast bowl. 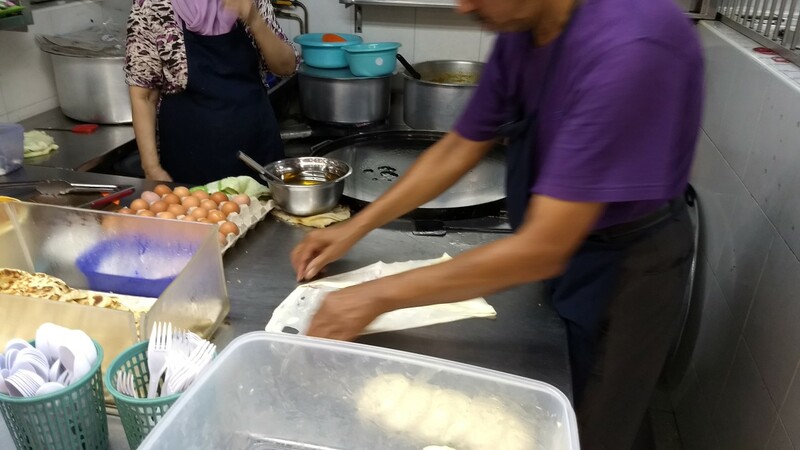 One of the reasons people like Sungei Road is because they still cook in the traditional method over coals. I'm not sure how the coals could have much impact on the flavor of something cooked in a metal container above them, but it was cool to watch them at work. 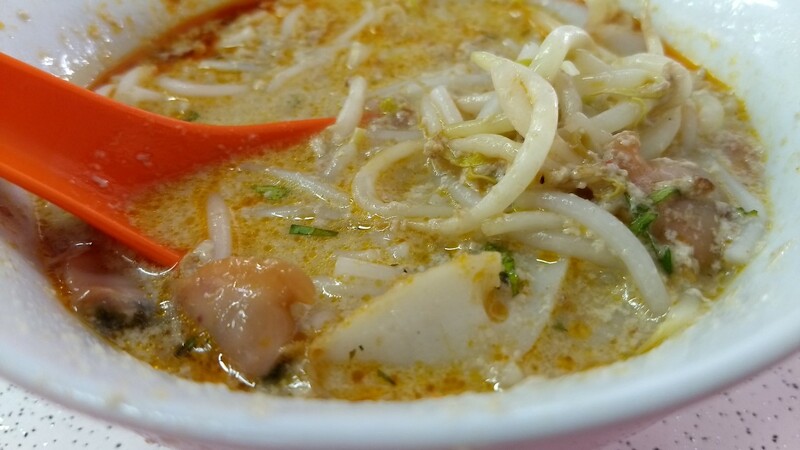 And the bowl of laksa was delicious. 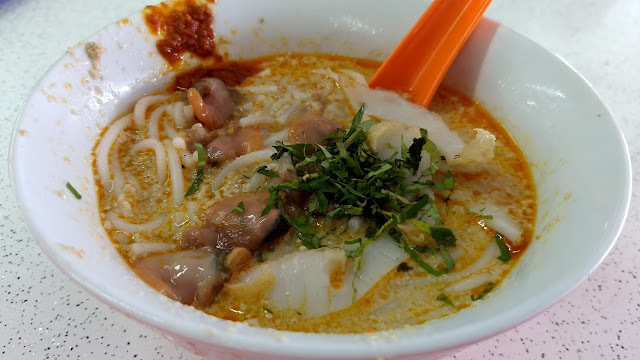 Rice noodles, fish cake slices and plump cockles floating in tasty, but not overpowering base broth. The bowl was relatively small, which didn't bother us at all, and very reasonably priced. 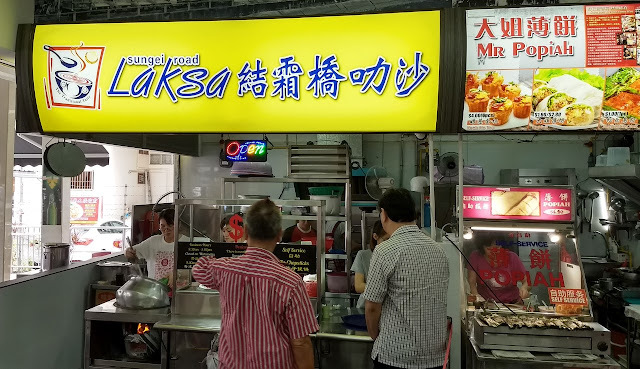 Sungei Road Laksa is not far from Little India, so we decided to stop back in at Tekka Centre for a bit more to eat. (You can find our first visit to Tekka Centre here). 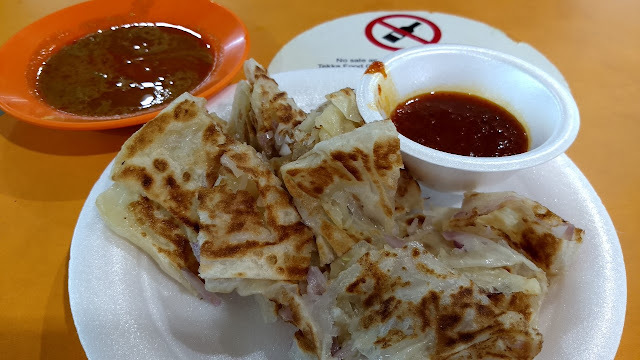 Roti prata was another dish on our long list of food to try in Singapore, so we ordered a plain version with onions at Prata Saga Sambal Berlada. 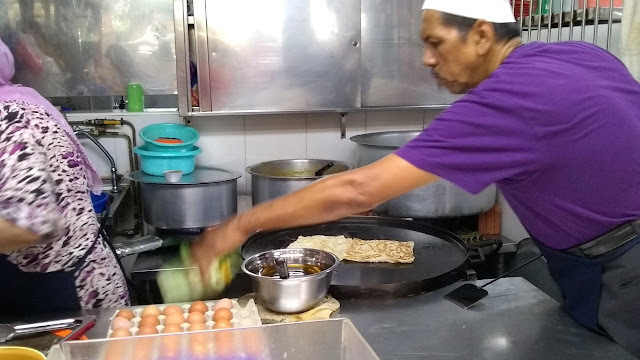 We really enjoyed watching the guy at work making the roti - stretching and slapping out the dough until it was paper-thin and then cooking it on a flat-top grill. They serve their roti with sambal, which I gather is not typical. They gave us some curry sauce as well - both sauces were very good.